Soft Touch Water Softeners Ltd - Household Water Treatment based in Hernhill, Kent. 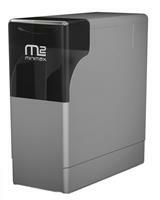 We are a leading water softener supplier, and family run business. Paul and Janet established Soft Touch Water Softeners Ltd many years ago, and are authorised dealers for many manufacturers, and therefore can offer unbiased advice on the correct water softener for you and your family. We are based in Faversham and Herne Bay, and install water softeners and drinking filters throughout Kent. We are proud to give such a premium service at such an affordable price, and are happy to add our own personal touch to everything we do. Our quality of work is second to none, just as we would expect in our own home. Ashford, Canterbury, Dover, Herne Bay, Kent, Medway, Ramsgate, Snodland, Thanet, Whitstable.